Heat up the wok with 2 tablespoon of canola oil and saute the onion until soft. Add the grounded spice. Keep stirring until fragrant. 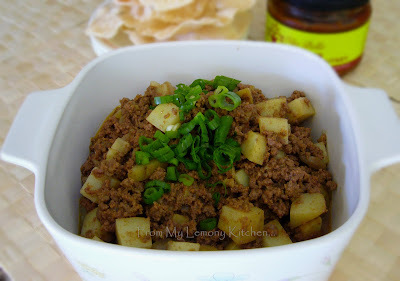 Add mince beef, and lastly add precooked potatoes. Season with salt and pepper.